Hyundai Motor India Ltd (HMIL) is the second-largest selling car manufacturer in the country. Most of their cars sell in decent numbers and are fairly more popular than many of their rivals. However, not all Hyundai cars have sold in large numbers, which means you may have forgotten about their existence. Here’s a list of 10 forgotten Hyundai cars in India. We are pretty sure many of you would remember the earlier Tucson SUV. The first-gen Tucson was launched in India in 2005. Back in the day, the Tucson was one of the luxury soft-roaders in the country. However, the market wasn’t ready for such cars and the Tucson hardly found any takers. No wonder, then, that the Tucson was discontinued in the country. We even missed out on the next-gen Tucson. Finally, the third-generation was launched here in late-2016. The Hyundai Elantra D1-segment sedan was first launched in India in 2004. Back then, the only D1-segmenter that sold really well was the Toyota Corolla Altis. Moreover, the slightly weird front-end styling kept people from buying this sedan. It was discontinued in 2010. 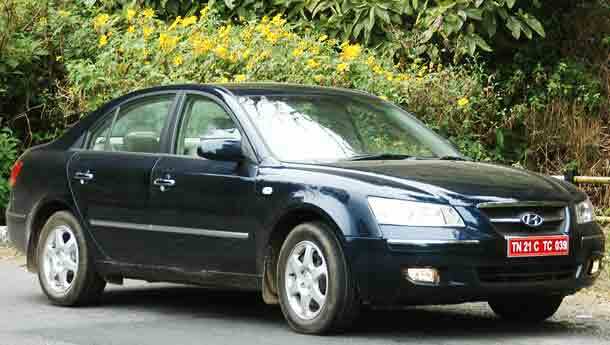 The Hyundai Sonata Embera came to India in 2004, and was the most expensive Hyundai sedan in the country. Globally, this Sonata was the fifth-generation of the spacious sedan. In India, however, it couldn’t attract buyers away from the Honda Accord. The Embera was on sale in the country for four years but not many would remember it due to the really low sales. The Sonata Gold was Hyundai’s flagship offering during its initial years in the country. Its Jaguar S-type-like styling did attract a lot of eyeballs. However, the Sonata was pitted against the Toyota Corolla and the Honda Accord, which made it really tough for the sedan to find enough takers in spite of Shahrukh Khan’s association with the brand. The Sonata Gold was finally discontinued in 2005. Even the sixth-generation Hyundai Sonata was launched here. The car came to us in 2012 and had a sticker price of more than Rs. 18 lakh. It looked amazing and came with a long list of features. However, it didn’t sell much due to a really thirsty petrol engine and a rather steep price tag. Hyundai even launched a luxury SUV in 2003. The Terracan was a strong performer that came equipped with a 2.9-litre turbocharged engine. The motor produced 148 bhp and 343 Nm. However, the Terracan was a bit ahead of its time and hence, didn’t find many takers. 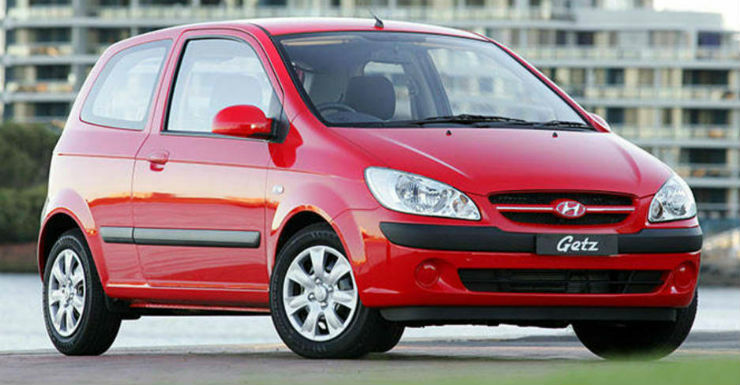 The Hyundai Getz B1-segment hatchback was launched in India in 2004. The Getz was quite spacious and offered a decent ride quality. It even got a stonker of a diesel motor in the last phase of its career. This 1.5-liter oil-burner produced 110 bhp and 235 Nm. However, in spite of being a pretty good car, all the limelight was stolen away by the funky-looking Maruti Swift. 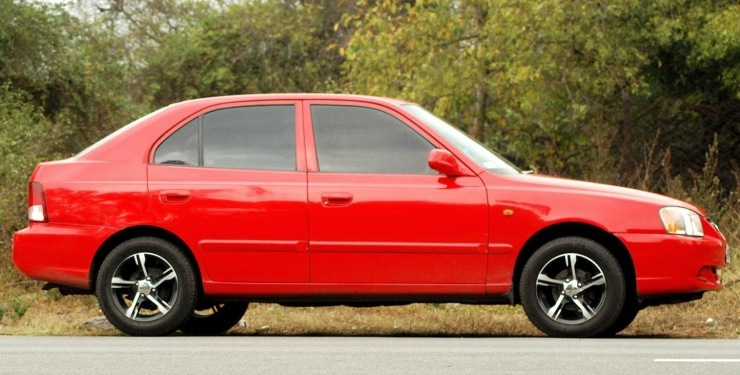 The Hyundai Accent was basically a notchback version of the Accent C1-segment sedan. The Viva also targeted sedan buyers looking for a decent family car with some elements of fun. Apart from the stylish notchback, the Viva also got the highly popular 1.5-litre CRDI engine that produced 82 PS and 187 Nm. However, the Accent Viva didn’t find many takers and was taken off the shelves. The second-gen Hyundai Santa Fe was launched in India at a pretty hefty price tag, which was largely due to CBU duties. The premium SUV buyers weren’t too keen on paying so much money for the makers of the Santro and the highly popular Toyota Fortuner prevented this SUV from finding many buyers. The second-generation Santa Fe was followed by the third-generation version, which looked much more modern and striking due to its Fluidic design. While this generation of the SUV sold better than its previous iteration, it could still not get anywhere close to the Toyota Fortuner. The Santa Fe was finally discontinued last year. « This modified Maruti Baleno looks red HOT!